From the pre-Inca delights of Chan Chan and Tucume, to the beautiful colonial history preserved in Cajamarca and Trujillo, there are some stunning and largely unvisited sites of international importance, culminating in the stupendous cloud forest fortress of Kuelap. "The itinerary you put together was superb and packed in a huge number of highlights." 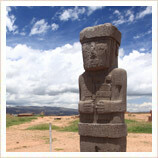 We will be waiting for you at Lima airport to meet you on arrival as you begin your holidays to Peru. You will be taken by private transfer to your hotel in the cosmopolitan Miraflores area. After you’ve checked in the rest of the day is yours to explore the area. There are numerous cafes and restaurants within a stone’s throw of your hotel all waiting to introduce you to Peru’s fine cuisine. The hotel offers an extensive list of massage and spa treatments if you'd like to pamper yourself? Or if you're feeling more active you might like to take a horseback ride around some of the surrounding countryside? We could also arrange a tour to the amazing "Valley of the Pyramids" in Tucume if you’d like to learn more about the pre-Inca history of Peru? 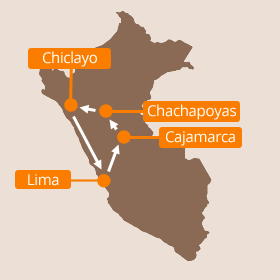 The best beaches in Peru are in the North and as they’re much closer to the equator than those around Lima, the weather is warmer all year so they’re an excellent choice to soak up some sun on the sand and enjoy some downtime on your holiday. 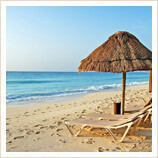 The palm fringed white sands of Mancora and Punta Sal are our favourites. No holiday to Peru is complete without a visit to the incomparable Machu Picchu, so why not take just a few days and add on a flight up to the ancient Inca capital of Cusco, from where you're just a train ride away from Machu Picchu. 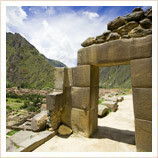 The sight of this lost Inca city, high in the cloud forest, really is something that will stay with you forever. Until very recently when China stole the title the train line from Lima to Huancayo was the highest in the world. 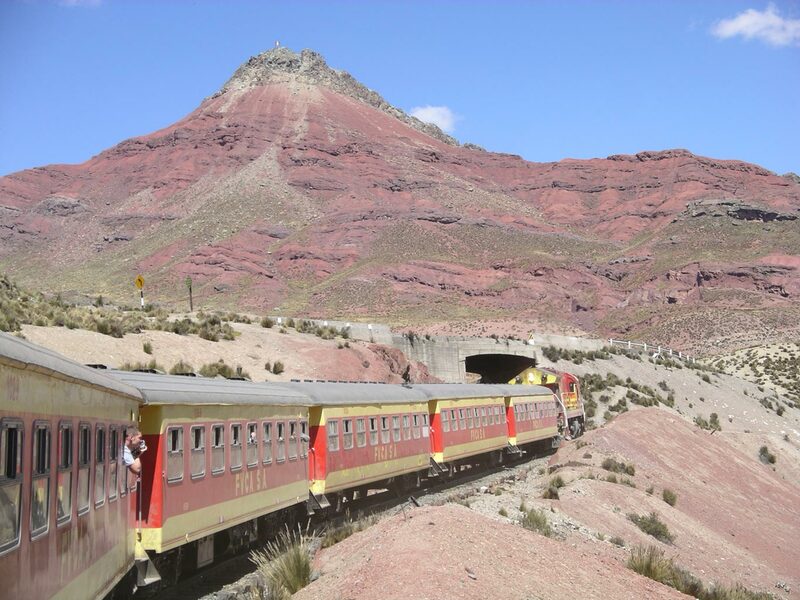 If you’re going to Peru and you like trains then this journey is a must! The route takes you through beautiful countryside and the comfortable Pullman carriages and bar make it a very relaxing journey. The standard price for our 'North Circular' holidays to Peru is £2195 per person, which is based on two sharing a double or twin room in our standard hotels. That price includes all your accommodation, internal transport, transfers, tours, guides and entrance fees. 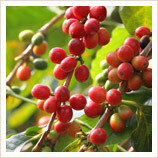 It also includes all your meals in Chachapoyas, and breakfast every day.